Hypertension occurs in approximately 10–20% of pregnancies and is associated with significant maternal and fetal morbidity. Most importantly, it results in preterm delivery and is associated with other conditions in the spectrum of placental ischemic disease such as intrauterine growth retardation and placental abruption. Chronic hypertension increases the risk for gestational hypertension and preeclampsia. Hypertension during pregnancy is also associated with increased future cardiovascular risk in the mother and her offspring. 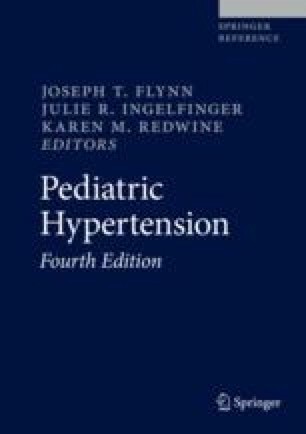 Topics to be discussed in this chapter include the classification of hypertensive disorders in pregnancy, normal blood pressure patterns during pregnancy, the pathophysiology of gestational hypertension and preeclampsia, features unique to the pregnant adolescent, the epidemiology and outcome of hypertension during pregnancy, and treatment guidelines.